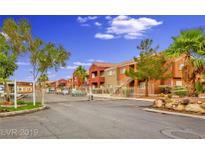 Below you can view all the condos for sale in the Craig Road Villas subdivision located in Las Vegas Nevada. 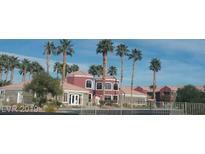 Listings in Craig Road Villas are updated daily from data we receive from the Las Vegas multiple listing service. To learn more about any of these condos or to receive custom notifications when a new property is listed for sale in Craig Road Villas, give us a call at 702-323-5951. Amenities include gated grounds, community pool, playground and security. Tenant Occupied. NO LOCK BOX! MLS#2087669. Coldwell Banker Premier. This one is definitely worth a viewing in person! MLS#2086186. Forever Home Realty. Gated With Community Pool & Spa, Clubhouse, Playground, Near Nellis Air Force Base, Shopping, Schools,And Freeway, 1st Floor Unit With Tile Floors Throughout, Ceiling Fans, Fireplace In Living Rm, Kitchen Has Tile Countertops & Flooring, Breakfast Bar, Microwave, Sold As-is! ! MLS#2083238. Premier Realty Group. Come and see this beauty before it is gone! MLS#2079913. TR Realty. Additional balcony off master bedroom. Includes all appliances. MLS#2076850. Ideal Homes Realty LLC. Sorry - no FHA or VA financing & need 25% down if conventional. MLS#2076556. Avalon Realty & Oaktree Mgmt. Located next to military family housing complex in the Manzanita Condominiums. MLS#2061848. Integrated Real Estate LLC. Turn key property ready to move in right! MLS#2057000. Las Vegas Shorewood Real Estat. Convenient to transportation, entertainment, schools, shopping and a gated community. Great investment property. MLS#2051815. Signature Real Estate Group. Convenient to transportation, entertainment, schools, shopping and a gated community. Great investment property. MLS#2051800. Signature Real Estate Group. Convenient to transportation, entertainment, schools , shopping and gated community. Great investment property. MLS#2051797. Signature Real Estate Group. Convenient to transportation, entertainment, schools and shopping. Gated Community. Great investment property. MLS#2051796. Signature Real Estate Group. Convenient to transportation, entertainment, schools, shopping and a gated community. Great investment property. MLS#2051810. Signature Real Estate Group. Convenient to transportation, entertainment, schools, shopping and a gated community. Great investment property. MLS#2051805. Signature Real Estate Group. Convenient to transportation, entertainment, shopping and school. Great investment opportunity. MLS#2051821. Signature Real Estate Group. Lower level unit, 2 bedrooms, 2 baths, large living room with fireplace, Dining Area, compact kitchen, Patio MLS#2040899. Markovic Realty. 2 baths, large living room with fireplace, dining area, compact kitchen, Patio MLS#2040932. Markovic Realty. Lease Expires 4/30/19. Please Do Not Disturb Tenants. MLS#2025237. Keller Williams Market Place. 2BED 2BATH BEAUTIFUL CONDO WITH VAULTED CEILING CUSTOM PAINT AND FIRE PLACE! ***TRADITIONAL SALE*** Upstairs Unit. MLS#1979897. Realty ONE Group, Inc.